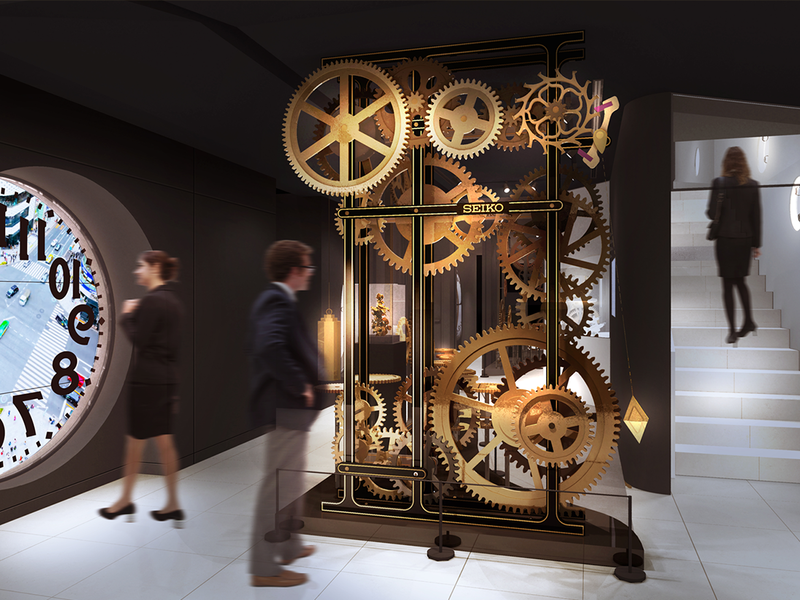 This museum is based on the concept of the space inside the Ginza Wako clock tower, which is one of Ginza's landmarks. 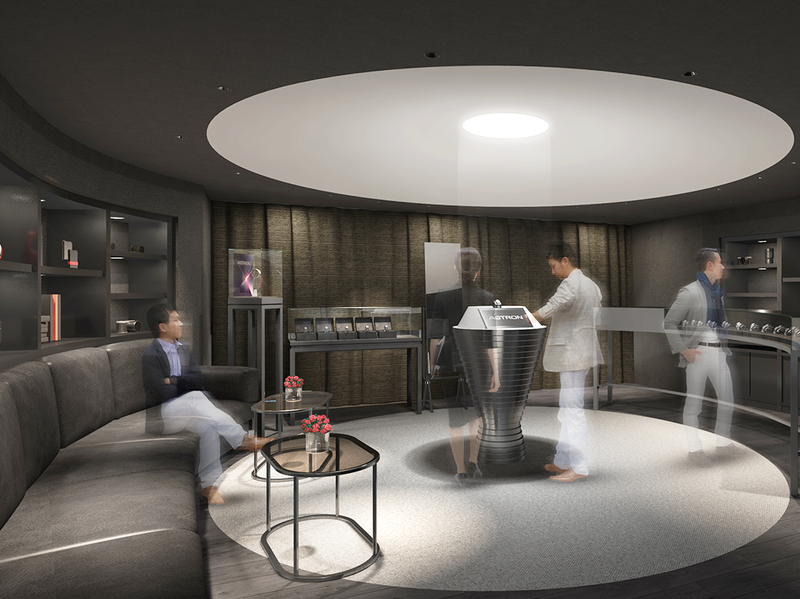 On exhibit is Japan's first-ever wristwatch, the world's first Quartz Astron which was released in 1969, as well as other valuable items that cannot be found elsewhere. 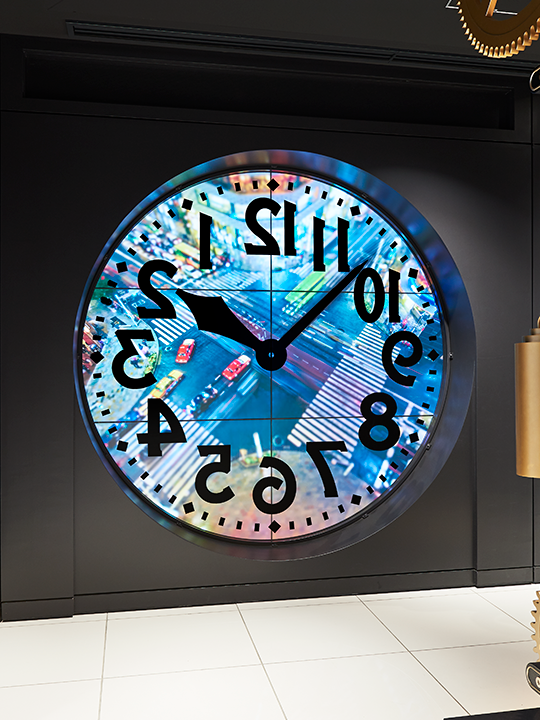 These circular monitors appear to look through the dial of the Ginza Wako clock from the inside. 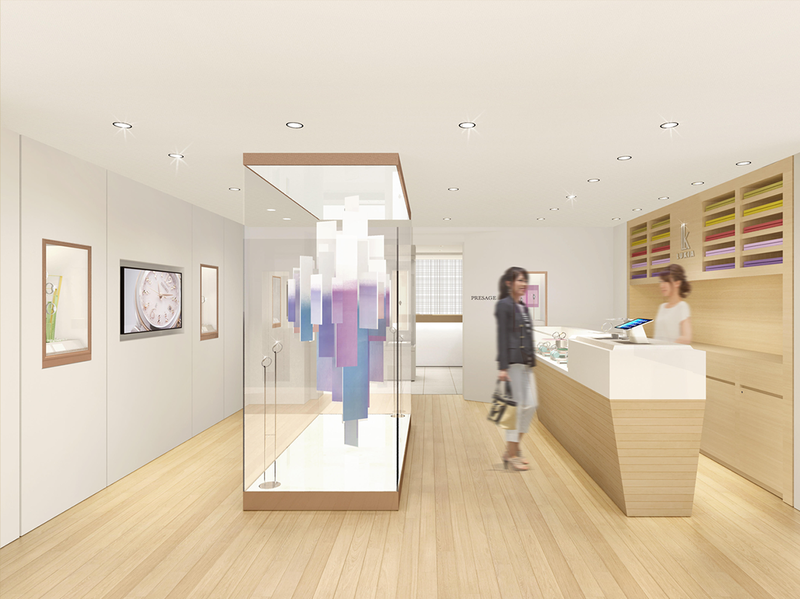 They show three videos that express what Seiko is about: the “Intersection Time-lapse” video that provides a view of the Ginza 4-chome intersection, the “Ginza Time Travel” video that uses papercraft-style computer graphics to show the events that occurred in Ginza over the course of more than 100 years, and the “Designing Time” video that shows designer sketches for ever-evolving Seiko watches. 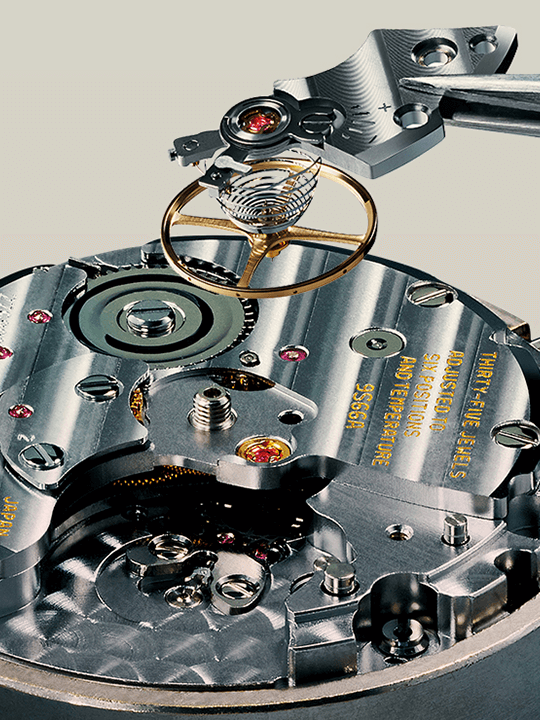 This area offers an unprecedented hands-on experience and opportunity to see how Seiko wristwatches are assembled. 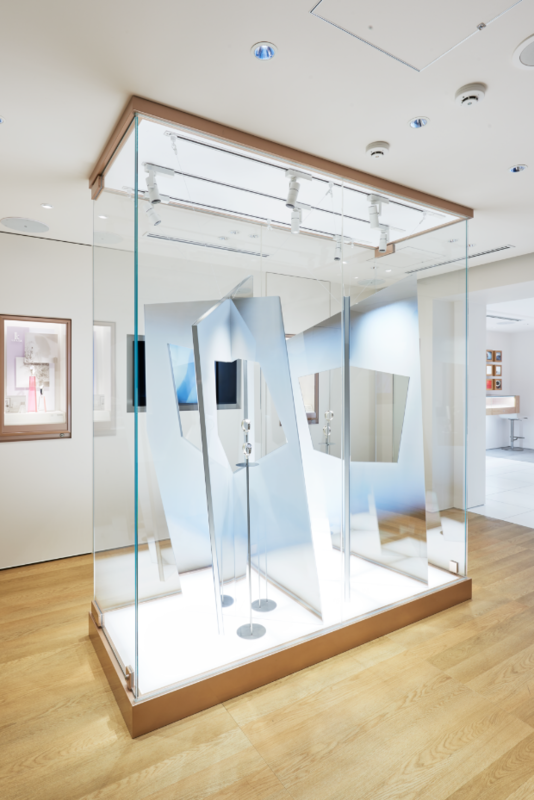 Watch technicians provide explanations, and view the tools on exhibit, which are the ones actually used in the Shizukuishi and Shiojiri ateliers. Get to experience dismantling and assembling a caliber on an iPad application. Set foot into the marine world. 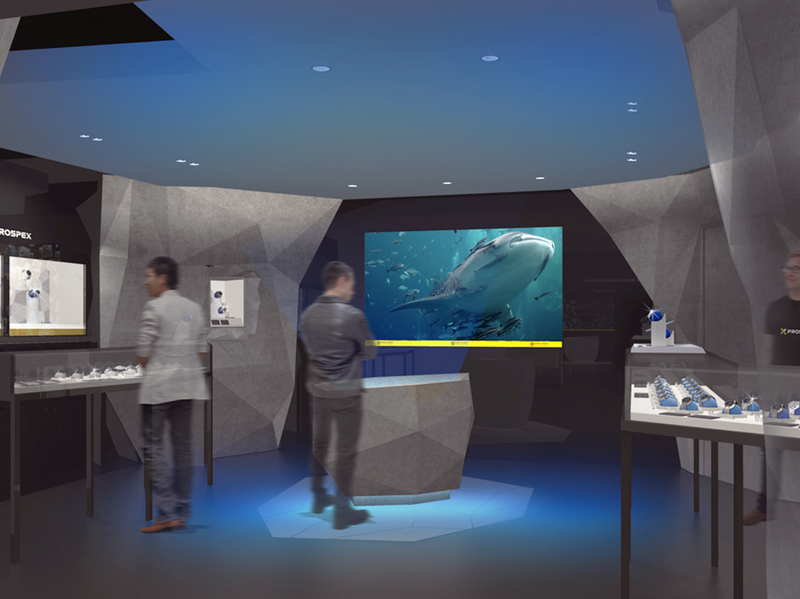 The entire floor is depicted as an oceanic wonderland, at which Prospex excels, based on the brand’s marketing theme of “Discover your planet.” Prospex watches are displayed in showcases that resemble aquariums. Hold your hand over the table located in the center of the floor to start seeing the contents. Move your hand up and down to begin an expedition to search for a wristwatch sunk in the ocean as if you were a professional diver. 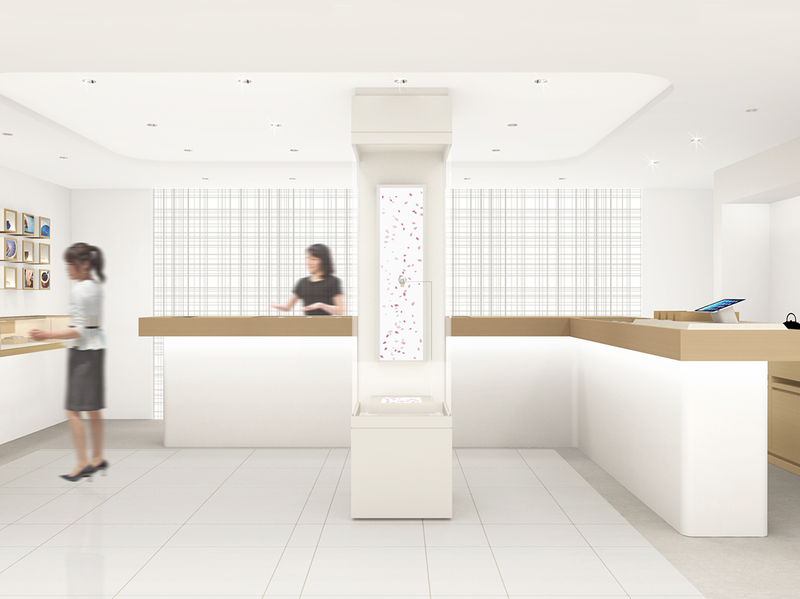 Experience a unique type of hospitality within a modern interior that expresses the essence of Presage, which aims to provide a Japanese sense of aesthetics. Enjoy wall displays that unravel the world of prestigious designs and wall monitors that display images of nature changing throughout the seasons. A single wristwatch standing erect like a single flower in a vase against a background of beautiful natural scenes depicting spring, summer, autumn, and winter represents the embodiment of the Japanese sense of aesthetics, which features only the true essence without any waste. 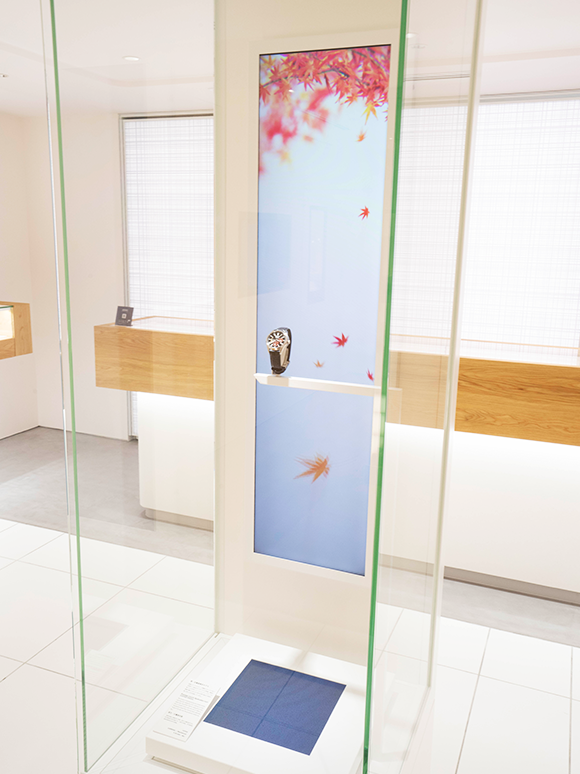 The brightly colored floor using traditional Japanese colors expresses a sense of why Japan cherishes the beauty conceived when colors are layered. Novelty gifts consisting of fabrics in colors that are layered in alignment with the season are available for purchasing customers. 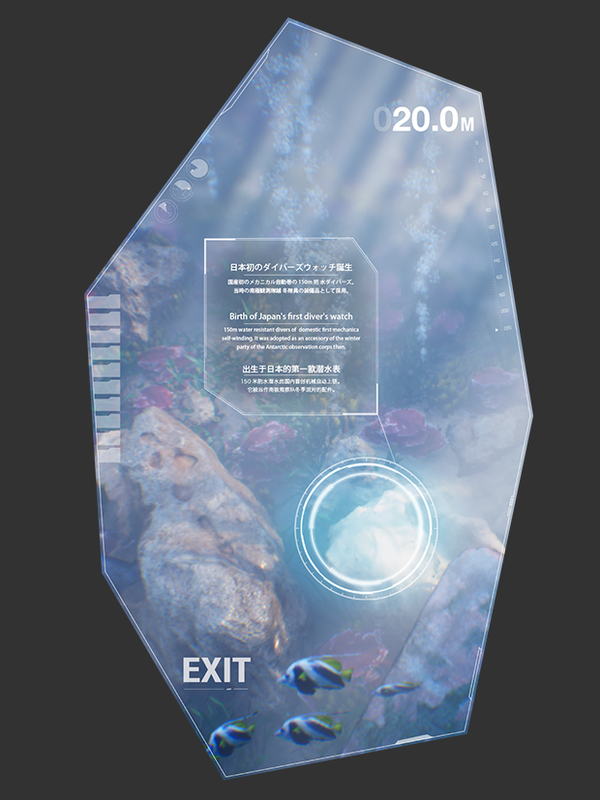 An artwork by the TAKT PROJECT design studio that depicts the feminine image of Lukia is displayed. Limitless overlapping transitions within nature give color to the seasons. Each moment of these transitions has been captured to express the femininity of Lukia through a cool, imposing horizon. Located on the top floor is a living room that places emphasis on interior decoration. It is the perfect place to relax while enjoying GPS demonstrations and viewing the latest models. Astron watches are featured on a show-like display. 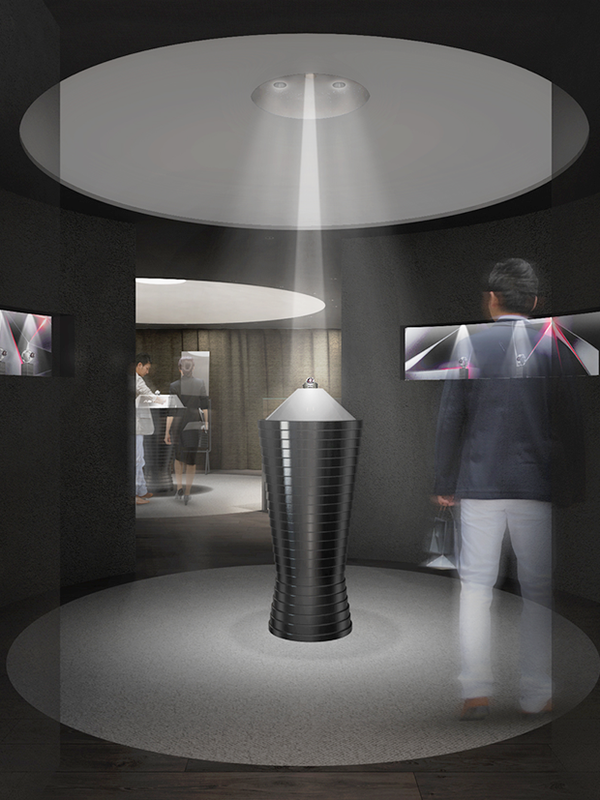 The world of Astron is introduced with light and sound performances based on an image of signals being received from a satellite.